Regularly lubrication maintenance has a dual purpose. First, it quiets down the garage door. Second, it helps it last longer. 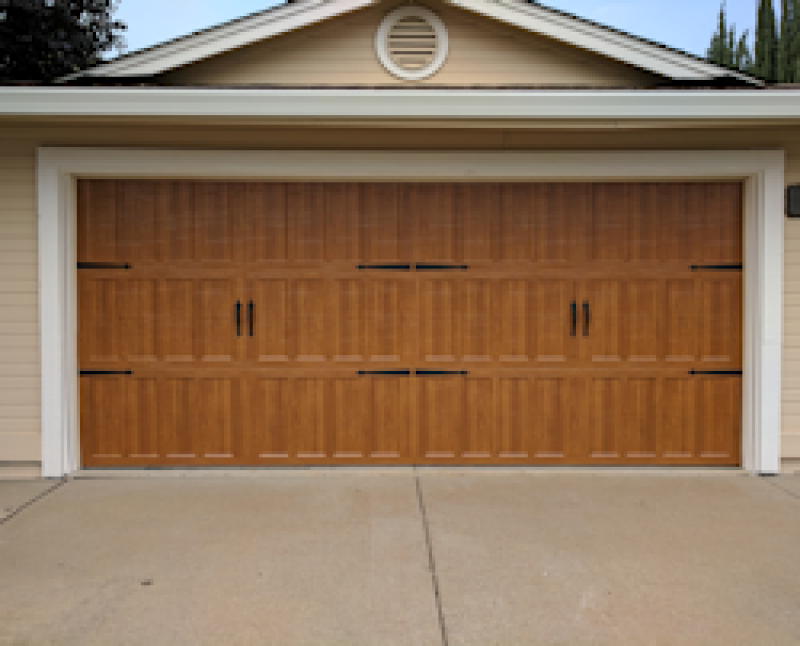 Why garage doors last longer when they are lubricated often? It's all about the parts lasting longer. Don't forget that your overhead door is made of many parts, which are mostly made of steel. 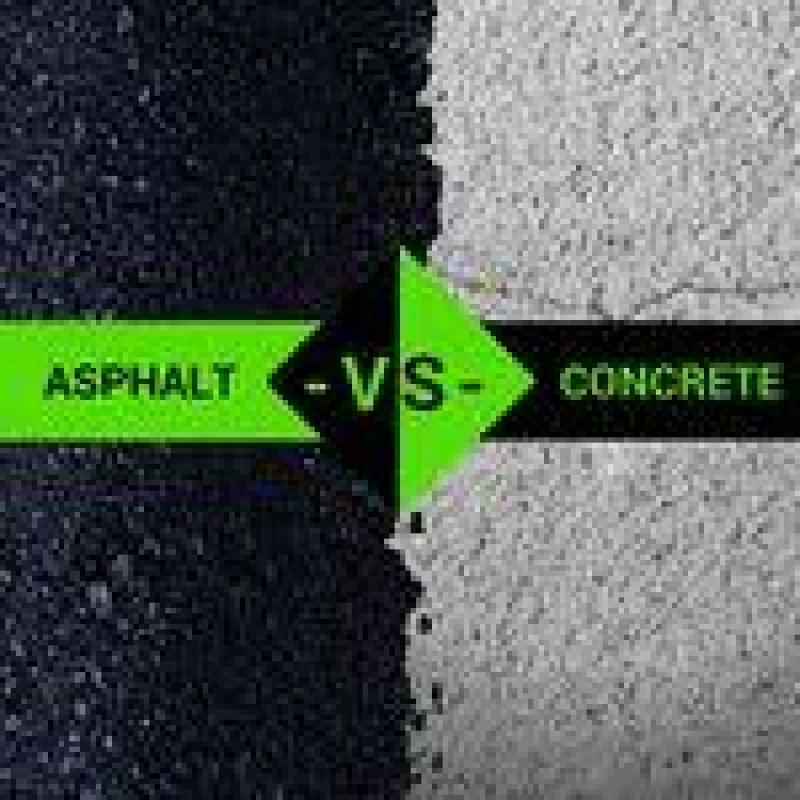 This material is susceptible to corrosion that will reduce the lifespan of parts. Lubricants act as a protective layer and keep parts from getting oxidized and thus rusty. All the same, parts are interconnected. For instance, the garage door rollers move inside the tracks. In other words, parts meet one another as they move. Without lubricants, they will scratch one another and so they will become damaged. Lubes keep them from getting scratched. And since they have the layer of oil coming between them, they don't make noise when they move. Gather everything you need around you – lubes, rags, and a ladder. For safety reasons, always disconnect the garage door opener before you lubricate the parts. If you open the door, use clamps to keep it open. Should the garage door springs are not in top notch condition, the door might slide down and hurt you. Although this is not a hard task if you are not sure how to do it right, trust a garage door repair technician. 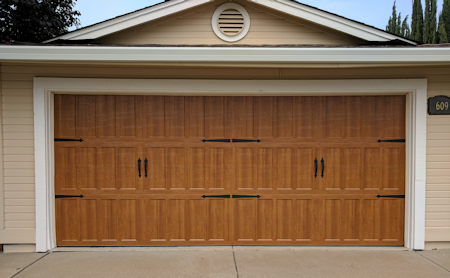 Choose lubricants designed for garage doors. It's often recommended the usage of silicon lubes for the tracks and springs while the rest of the parts will be fine with a light oil. Use a spray can with a straw nozzle for your convenience. Don't overdo it. Excessive oiling is not good either. Wipe off excessive lubes and always check the floor at the end of the task so that no one will slip. Always clean the garage door tracks before you lube them. Remove debris and grime to allow for new lubes to adhere better. As an overall, it's important to lubricate all the steel parts of your overhead garage door. Start with the tracks. Spray a few drops of lubes across each track and then open and close the door a couple of times to allow lubes to be distributed evenly. Spray oil to the bearings of the rollers. While you are there, oil the hinges too. This will involve oiling the sleeve too. This is the part of the hinge which holds the stem of the roller. You need to rotate the stem of the rollers for the oil to be distributed evenly. If you have a torsion spring, step on the ladder and lube the coils and bearings. 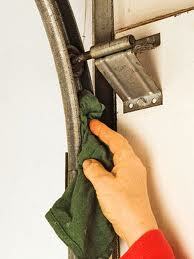 Use the rag to oil all spring coils from one end to the other. If you have extension springs, you still need to lube the coils the same way as you would for the torsion spring. Repeat on the other side of the door. Since extension springs utilize pulleys, lube their bearings. Once you lube springs, open and close the door to let the lubes penetrate the springs. If you have a chain drive opener, lubricate the chain. Although the chain doesn't need frequent lubrication, the rail where it is housed does. Don't forget to lubricate all the small pins of the hinges, which keep the panels of sectional doors together too. When you are done, plug the opener again and let the garage door run a few times up and down.